MYRTLE BEACH'S CRAWL SPACE MOISTURE CONTROL SOLUTION EXPERTS! 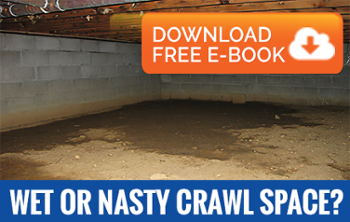 Crawl spaces tend to be unfinished portions of your space, with dirt floors and little ventilation, creating the perfect breeding ground for mold and mildew! With even less use than the attic and basement, moisture problems really go unnoticed in these areas. Crawl space moisture solutions such as vapor barriers, ventilation systems, and dehumidifiers are just some ways to combat moisture in the crawl space. Our crawl space moisture control specialists have the equipment and knowledge for just what you need! AdvantaClean of Coastal Carolina will repair and upgrade Myrtle Beach crawl spaces of all shapes and sizes. We install crawl space moisture solutions including vapor barrier systems, crawl space insulation, drainage, sump pumps, dehumidifiers, and much more! Our experts have provided solutions and upgraded thousands of crawl spaces across the Coastal Carolina region, including in Myrtle Beach, Conway, Little River and Murrells Inlet and the surrounding areas. TO SCHEDULE A FREE CRAWL SPACE REPAIR QUOTE, PLEASE CONTACT US AT (843) 310-5836 ! Installing an AdvantaSeal vapor barrier or encapsulation system to isolate the crawl space. Installing an AdvantaDrain system to ensure the proper draining of crawl space water. AdvantaSeal is a crawl space vapor barrier that will transform your nasty dirty damp crawl space into a dry, usable space. AdvantaSeal makes the crawl space a part of your home, preventing dry rot, mold, unwanted pests and energy loss. By sealing out dampness from the earth and outside air, AdvantaSeal makes your home more dry, healthy and energy efficient. Our crawl space solution experts carefully cut the liner to fit your crawl space and mechanically fasten it to the walls. AdvantaDrain is uniquely designed with flow channels which increase water flow rates. The AdvantaDrains structural integrity resists degrading or breaking down and is built to last. The engineered sleeve geotextile netting provides the necessary filtering of soil particles to help prevent clogging. The AdvantaDrain ties into the sump pump system or another drain so that the water can be discharged from your crawls pace or basement to a designated discharge location. AdvantaClean experts can diagnose your Myrtle Beach crawl space moisture issues and crawl space mold issues by properly identifying, recommending and implementing the proper solutions. Our crawl space moisture solution specialists can perform professional mold remediation in conjunction with addressing the moisture source-- from simple repairs to comprehensive vapor barriers, crawl space ventilation systems and crawl space dehumidifier installations. CALL US FOR MYRTLE BEACH CRAWL SPACE MOISTURE CONTROL SOLUTIONS! CALL US TODAY AT (843) 310-5836!